In the summer of 2004 a man and his wife set out from Maine, heading west for their new life in Nevada, and on the way the wife suffered a cracked tooth. Despite her pain and discomfort they decided to keep going, and for three days they hurried across the country to Winnemucca, where she sought treatment from a dentist whose office was just down the street from their new home. As he prepared to repair the damage the dentist asked his patient what had brought her to town. They had. John’s uncle Bill had owned The Martin for 30 years. He was ready to retire and John was ready for a change — coming back to Nevada seemed like the perfect arrangement. But the dentist was right; uncle Bill had let the old place go way downhill, and in 2004 the Martin was 116 years old. It was just a house when it was built in 1878, a residence on the lot containing the “Railroad Feed & Sale Stable” at the corner of Melarky and Railroad streets. Three years later an addition was built, and the structure became a rooming house until 1910 when it was acquired by the nearby Hotel Lafayette to serve as its “Annex”. The original Martin Hotel, owner and prominent sheep man Alfonso Pasquale on the left, Augustine and Elsee Martin on the right, and their son Rene in the doorway with Marco. Then, in 1912 Alfonso Pasquale and Adolph Sella completed the transformation from residence to saloon by opening the Roman Tavern there. Not quite four years after that a new stone structure was built next door to the east, and christened the Martin Hotel for its proprietors recently arrived from Reno. 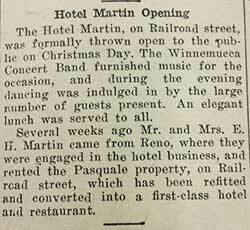 The Grand Opening on Christmas Day 1915 was a huge municipal party. Rene Martin with Marco outside the original Martin Hotel. 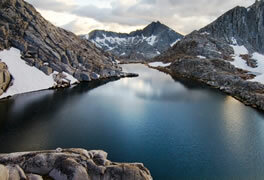 “Mother and Father were both French,” he wrote, “he from the Alpine area of France and she from the South. people made it their home when in town. It was not unusual for a sheep herder to come in from his long stay with the sheep; be paid off in full for his work and turn this entire sum over to my father. “He would then stay at the hotel, eat in the restaurant and play cards, chat with his friends and drink in the bar. Father, keeping the account, would advance him pocket money when asked for. If he was drunk or wanted large sums of money for a reason he couldn’t explain, father wouldn’t give him the money. The historical photos and much of the historical information here about The Martin came from the Humboldt Museum. 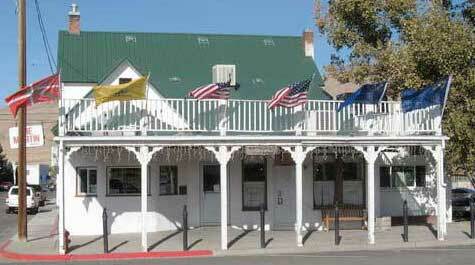 It’s just north across the river in a beautiful facility; check it out when you’re in Winnemucca. But in 1919 a great fire burned most of Block “I” except for The Shone House and the little house at the corner of Railroad and Melarkey. 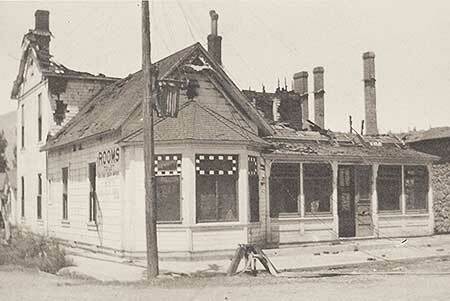 It was severely damaged but spared by the stone barricade of the Martin Hotel next door. The original Martin itself was destroyed, and its French namesakes returned to the hotel business in San Francisco which they had fled during the earthquake and fire. In 1920 when repairs were completed, the former Roman Tavern re-opened as a rooming house, configured about as it is now, and renamed The Martin Hotel. Presumably that was done in the hope of restoring its standing with the sheepherders, and it did. John’s grandfather was a prominent figure in Winnemucca in his day, brought from Deeth via Golconda to manage the shops here for the S.P. 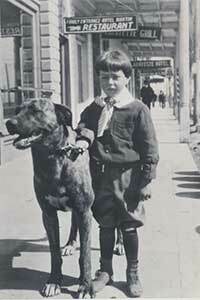 The Little League ball park across Mizpah Street from the hospital is named for him, but eventually the S.P. moved him on to Sparks. During World War II John’s dad flew B-24s and was awarded the Silver Star. He made a career in the Air Force and John grew up in Reno and Las Vegas, went away to college and then out into the wider world and a career in high tech software development that had eventually carried him to Maine. And so, despite the long family association, John arrived in Winnemucca as a newcomer, the proud, inexperienced owner of a . . . rundown barroom. 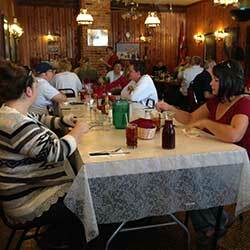 So how did he make the Martin famous as one of the most highly regarded restaurants in the state? The result is a popular family-style Basque boarding house restaurant serving up delicious lunches and dinners daily, with a full bar and a banquet room which serves as an available space for community meetings, performances from big-time musicians traveling through, and private functions ranging from weddings to wakes. 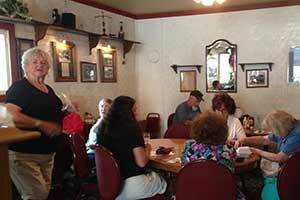 Edna Purviance’s 115th birthday was celebrated here. Oh, and the Ladies’ Pinochle Club meets here twice a week from late fall to late spring; then when good weather comes they cut back the pinochle to one day a week and play golf on the other. You can feel the welcome from the building itself when you walk inside. Never mind the attractive women working the bar [thank you John], never mind John himself amiably showing us into the dining room, never mind the cheerful waitresses or the cooks working mightily in the kitchen — the building is a bubble of good feelings. People come here to feel good. Edna Purviance’s 115th Birthday Banquet. John took me on a tour through that shiny new kitchen and up the stairs to the offices squeezed into the tiny old sleeping rooms. 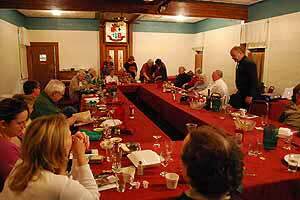 What is now the Banquet room and performance venue was originally a long hallway with small sleeping rooms on each side. 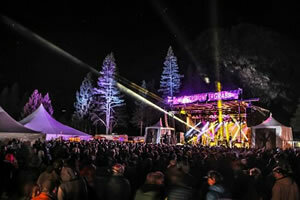 More recently it has been the showplace for world-class performances by some of the most celebrated names in the land. We do it for Joy! Gather up a small room full of music lovers and witness some of the most amazing musical events happening anywhere on the planet. Truly great performances. A small closely engaged audience sitting close up and listening intently. 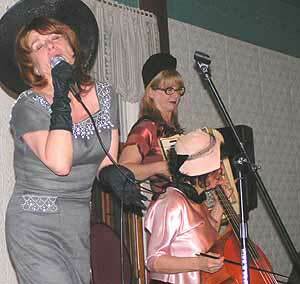 The warm audience, intimate surroundings, and superb acoustics, keep the audiences and artists asking for more. 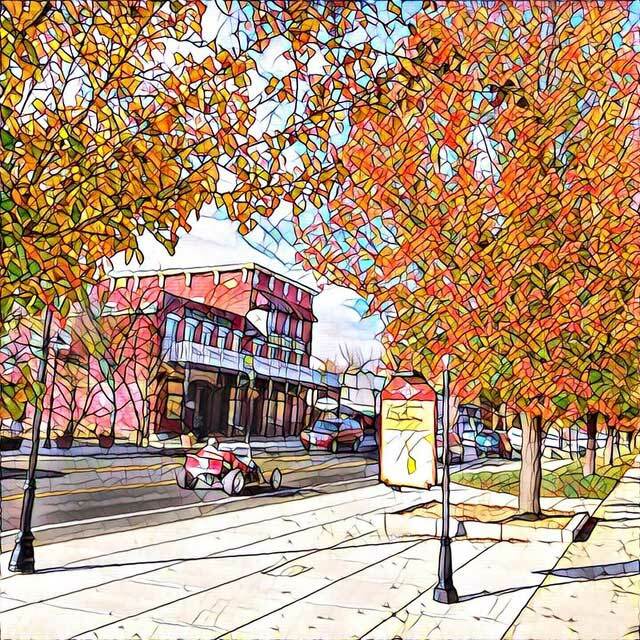 It’s really a blessing.” It’s certainly a great gift to Winnemucca. Snowfall totals during January set new records at Donner Pass and most ski resorts. But the real story of winter 2017 is the number of Pacific-bred Atmospheric Rivers that produced such phenomenal precipitation in so short a time. Ghosts? There has been only one recorded death here — in 1884 Arthur Cunningham, the brother of the owner at the time, died in the house from “a long term illness” — but John thinks there may have been others. He wonders if one or two of these men who lived out in the open with the sheep for months on end might have died here. 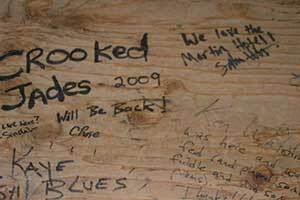 And, if they had, whether they’d simply been buried right here in the dirt floor without troubling the authorities. If so, it remains a secret . . . but another secret may have been revealed. As he worked at upgrading the old structure John became intimately acquainted with its many peculiarities, one of which was the variety in the design of the pressed metal walls and ceilings. 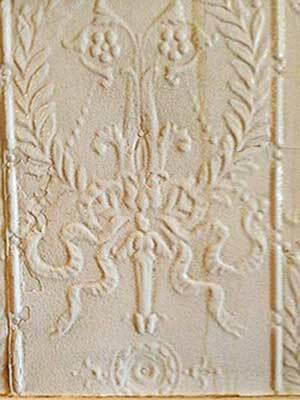 Clearly they had been installed at different times, . . . .
Did you notice the close-up photo above of the pressed tin wall panel with an Arabesque design? In the early and middle 1970s the high school kids in Winnemucca were still cruising the drag every night until their gas tanks were pumped dry in hot rods they’d spent uncounted hours working on. Dave Bengochea had a ’68 Mustang and his buddy Ralph Whitworth built up a ’65 GTO from parts he got from wrecking yards. Dave graduated in ’71 and worked as a carpet layer. Ralph graduated in ’73 and went to work at the golf course. When the Parks & Rec Director’s job came open, Ralph applied and was hired. He was 19. 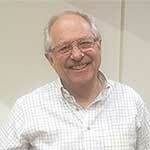 He wrote the grant for the new swimming pool while he was there, but after a couple of years a local dentist named Dan Debonis helped Ralph attend UNR, then on to law school at Georgetown. While in Washington he worked on the U.S. Senate Judiciary Committee staff of Senator Paul Laxalt and on the 1984 Reagan election campaign. When he left Washington he went to work for T. Boone Pickens and in the years since leaving Pickens Ralph’s business enterprises have flourished. He is a partner in a $3 billion investment fund with large holdings in major corporations and a Director of some of America’s largest corporations. Dave was pleased when his old pal Ralph came back to visit his home town after 15 years away, and everyone was pleased when Ralph donated $1 million to the Humboldt County school system. He did it, he said, because he attributes his success in large part to growing up in Winnemucca, and to the values he learned there as a boy. As for Dave and Ralph, they picked up where they’d left off, with cars. They went to a car show together, where they saw a great car in sad condition — a ’36 Ford roadster convertible — what a great project! Ralph bought it. They went to an auction and Ralph bought another one. And almost before they knew it, he’d bought 190 cars. One day as John was looking at it, something . . . could it . . .? nah. But he looked at it again the next day. And the next day he was still wondering. . . .
And he wondered and looked at it and he thought about it so long and so hard that eventually he said to hell with it and hired an expert to tell him if he was truly seeing what he thought he was seeing in that elaborate design. The pressed tin wall covering at the Martin Hotel hints at much more than just late-ninethinth-century decorating trends. Artist Georgia O’Keefe (1887-1986), well-known for what most consider erotically charged imagery of flowers, insisted they were just flowers. It seems that a portion of the viewing public agree with her, while others do not. The same may be said for the Martin Hotel Pressed tin wall covering. 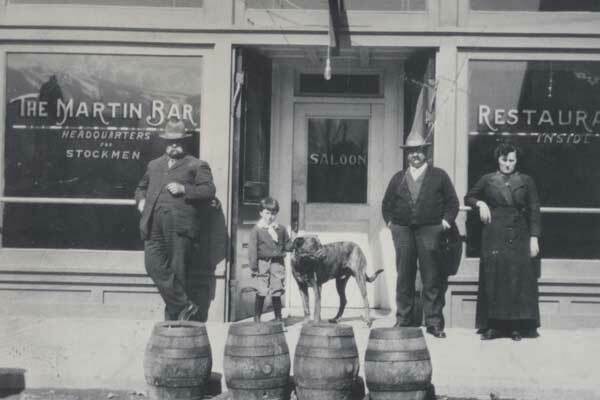 The description of the Martin Hotel building in the National register of Historic Places reports that the house was converted to a bar named the “Roman Tavern” in 1912. The discovery of Herculaneum and Pompeii during the 18th century brought knowledge of he unfettered sexual activities of the ancients, as revealed in explicit mosaics and frescoes. Roman taverns were an important element in a sexually unbound society where prostitution was neither illegal nor frowned upon. 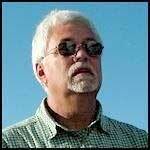 Was Alfonso Pasquale winking at the public? The Immortal Marta is no more. 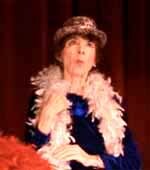 Sad news from Death Valley Junction: Marta Becket, supremely talented and supremely unique, has passed away. Here is her obituary in the New York Times. It was five years ago that Marta decided to retire from performances at her self-made, self-decorated and self-promoted Amargosa Opera House. On February 12th 2012, she performed her final show, celebrating her 45th anniversary performing there. I don’t know which one it was, or if it is still standing at all, but in one of the Broadway boarding houses that catered to working men in the early years of the 20th century in Lovelock, a teen-aged girl named Edna Purviance helped her mother with the housekeeping. She graduated from high school in 1913 and quickly shook the dust of Lovelock from her shoes by moving to San Francisco. There she worked as a secretary and ran with a racy show business crowd. One of her friends introduced her to Charlie Chaplin, who was looking for a new leading lady for his movies, and the rest is a Cinderella story too perfect to be plausible. 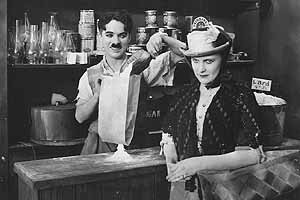 Charlie and Edna made 40 films together and remained friends until the day she died. Was it really 50 years ago that we first met, with the donkeys Gilgamesh and Inkidu corralled outside what was to become the Opera House, and her husband Tom Williams inside painting the ceilings? Alas, it was. Thank you Marta, for enriching our world. 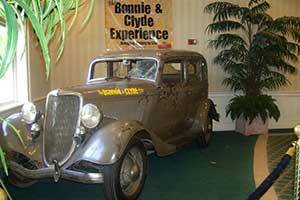 Nevada has more Bonnie & Clyde Death Cars than any other state in the Union, and one of ours is the real one! Our friends at Roadside America have thoroughly researched this topic because every road they traveled seemed to have a different Bonnie & Clyde Death Car on display. There are six of them as it turns out, and the real one is at Whiskey Pete’s in Prmm, about 50 miles southwest of Las Vegas on I-15. 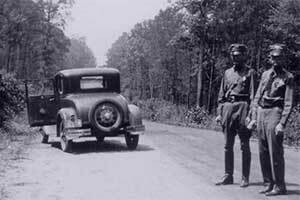 Wikipedia tells us that Bonnie and Clyde were ambushed and killed on May 23, 1934, on a rural road in Bienville Parish, Louisiana. The couple appeared in daylight in an automobile and were shot by a posse of four Texas officers and two Louisiana officers. 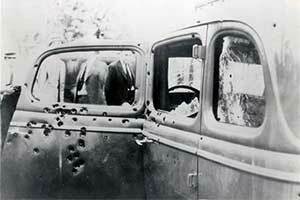 On May 21, 1934, the full posse set up an ambush at the rendezvous point along Louisiana State Highway 154, and at a little after 9 am on May 23, the posse heard Barrow’s stolen Ford V8 approaching at a high speed. The lawmen opened fire, killing Barrow and Parker while shooting a combined total of about 130 rounds. The officers emptied all their arms at the car. “Each of us six officers had a shotgun and an automatic rifle and pistols. We opened fire with the automatic rifles. Then we used shotguns. There was smoke coming from the car, and it looked like it was on fire. After shooting the shotguns, we emptied the pistols at the car, which ran into a ditch about 50 yards on down the road. We kept shooting at the car even after it stopped. We weren’t taking any chances. In eastern Nevada stop in Elko on March 11th for Shamrock Shuffle in Downtown Elko. 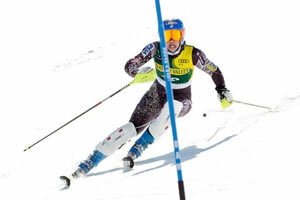 Want to ski the Ruby Mountains? Now you can, SnoBowl is Open! 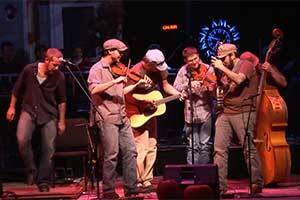 On March 10th don’t miss Utah’s 3hattrio to Perform at Western Folklife Center. . .
Great Basin Native Artists exhibit at the Carson City Visitors Bureau. On March 18th through the 25th Carson City hosts a City Wide Short Film Competition – Film Week. 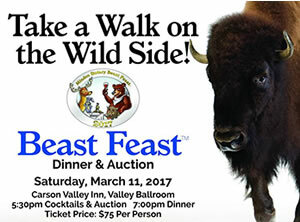 . . Next door in Carson Valley on March 11th is Beast Feast 2017 at Carson Valley Inn. 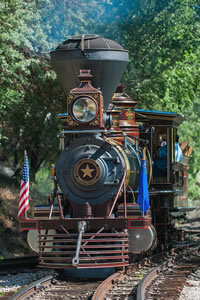 . . Head east on Highway 50 to Fallon for a SteamPunk Evening with the Arts hosted by Churchill Arts on March 4th. Also the opening of the Top Gun Raceway Drag Racing Season that starts in March and runs through October. . . Just past Austin, head south for Kingston Fire Company’s Annual St. Patricks Day Dinner on March 18th. . . In Eureka on March 12th and 13th is the Silver State Sportsman Coyote Contest. . . Just before Highway 50 reaches Nevada’s eastern border stop in Ely on March 18th for the Turkey Vulture Stretch 5k. . . 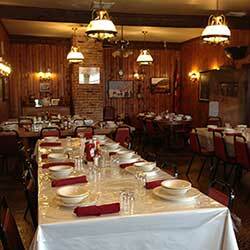 In central Nevada Tonopah host’s it’s annual St. Patrick’s Day Dinner, Dance and Raffle on March 18th . . . Travel south on Highway 95 to Beatty for MarsFest in Death Valley National Park. . . Go farther south and you will reach Pahrump that is hosting it’s annual Silver State Chili Cook-off on March 18th. 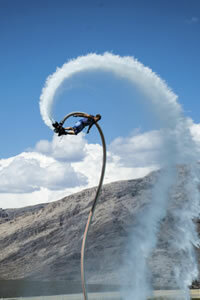 Also on March 18th you won’t want to miss Jetpack America, a water sports spectacular that you’d better see for yourselves! . . In Boulder City on March 10th through the 12th is the 51st Annual St. Patrick’s Day Parade & Festival and on March 24th through the 26th is DVO Reaper Madness. On March 25th is Boulder City’s Annual Annual Beerfest. . . In Laughlin on March 17th through the 19th is the Shamrocks and Shenanigans Festival. . . In Las Vegas there is an event on March 18th through the 20th that is certainly on the ‘bucket list’. The event is called Zero Gravity, “Zero Gravity Corporation is a privately held space entertainment and tourism company whose mission is to make the excitement and adventure of space accessible to the public. The ZERO-G Experience® is a once-in-a-lifetime opportunity to experience true weightlessness, without having to go to space!”. On March 23rd through the 25th is the Monster Jam World Finals XVIII.